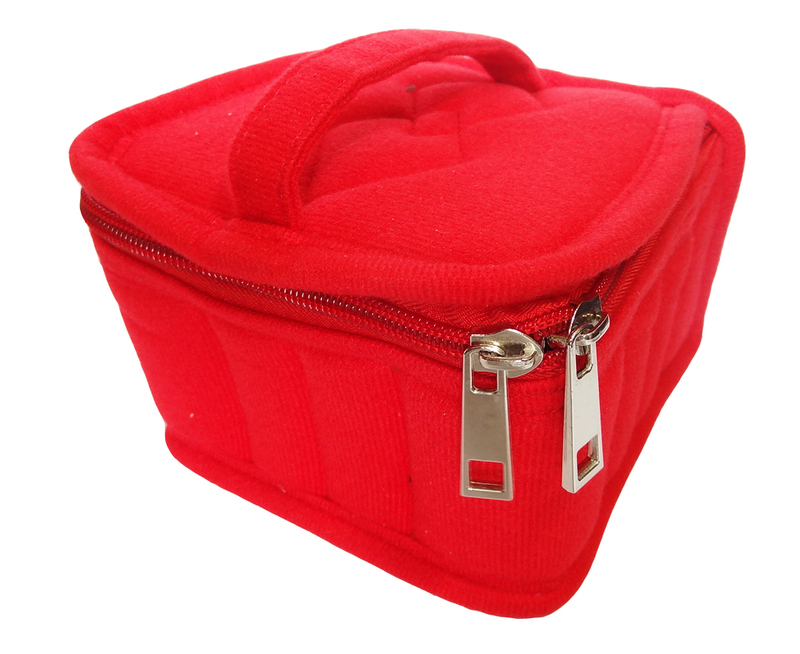 We are proud to offer you this high quality red essential oil carry case, stylishly designed, at a great price. With the red case in your collection you can easily store all of your essential oils away in the small and lightweight case. Inside this innovative storage solution you will find 16 soft divided slots that provides space for 16 of your oils, blends and bottles. Plenty of room for your empty blending bottles, oils and supplies. Also, this stylish essential oil case has a zip up fasten that will undoubtedly keep your aromatherapy products safe whether you are onthe move or at home.